Singing Squad make us proud! 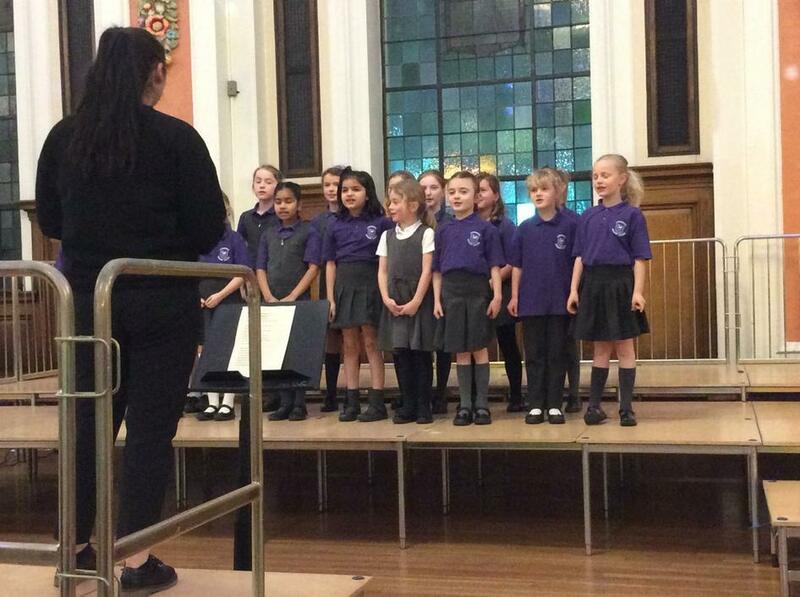 Singing Squad made us proud on Tuesday 26th March, when they performed in front of a packed Town Hall audience including the Mayor of Stockport. They sang their own repertoire, conducted by Miss Ridgway alongside three other school choirs as part of the Primary School celebration of 'Past and Present'. The finale was a specially commissioned song for the Greater Manchester Music Hub called ‘Victorians’ which all four schools performed together.